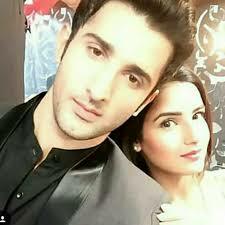 Kunj and Twinkle reach home. All the while, Twinkle remains silent. Kunj looks at her face and road alternatively while driving. He thinks it would be better to be silent until she herself speaks. Twinkle serve him lunch silently and she had food. Kunj lost his patience. Twinkle: usually, i hate people who lie. By saying that she moves. Kunj hold her hand: what did i lie? Kunj: really, i don’t know what you are speaking about. Twinkle: then, why you didn’t tell to me that you are joined as professor in our college? Kunj: oh, that. That is not lie, i just hide it. You see, there is so many difference between lie and hide. Twinkle: don’t try your cleverness to me. Kunj: hey, your mom only told me to hide it. T.Mom: hi Twinkle, how are you? Now only you remembered this mom na. Twinkle hastingly: mom, do you know earlier itself about kunj’s college? I mean where he joined as professor. T.Mom stammers: that…ye..yeah, i know. Twinkle: what? Then, you are the one who told him to hide it from me. T.Mom: so what? Yeah, i told him so. If you know it earlier itself, either you will refuse to go to that college or restrain him to work there. So, i told him to hide it till 1st day. Twinkle shouts at her mom and disconnects the call. Twinkle looks at Kunj who is sitting in living room couch. She felt guilt but she maintained her attitude little. She went near to him and sit beside to him. Kunj interrupts: i really feel regret now that i married you against your wish. Twinkle feels bad for blabbering: kunj, it’s not like that. She placed her head on his lap: i am sorry, i misunderstood you. But, i felt that collegemates will look at me weirdly of they came to know about our marriage that too i married before my studies complete. He turned her face and saw her eyes closed. She is sleeping. Kunj take her in his arms carefully and went to their room and placed her in bed. Covered her with duvet. Kunj looks at her sleeping face: The only thing Mrs. Twinkle Kunj Sarna knows is studying and sleeping. Whatever happens her activity will be on regular basis. But there is so much change in you Twinkle. You argued with me today. At first you was so silent, but now see, you mingle with me so soon. That is the magic of Kunj Sarna. Kunj smiles and went out of room. She wakes nearly after 2 hours. She understood Kunj bring her to roo. Twinkle: Kunj, what is time? Kunj replied from outside: 6 p.m.
Twinkle shouts: what? Oh no, how many hours i slept? I have to study. Kunj till now who sits in couch outside, now hurriedly take his stuff, which he is preparing for his class. Twinkle rush towards study room. Kunj also rushed towards study room. Their study room is neat with two tables, one near to window which allows soft breeze and light. Which is comfortable to study. Both fight for that table. Twinkle: i only came earlier. Kunj: no, i am the one who came first. Twinkle: till now you are outside only na. Twinkle: Kunj, i am a student, i want perfect place to study. Kunj: Twinkle, i am a professor, i need perfect place to prepare. So that only i can teach you in class. Twinkle is adamant: no, i need it. Both argued for place. Actually, kunj is not interested in that place. But he wish to make fuss with her. So that interaction will develop and he will get chance to speak not atleast argue with her.atlast he gave her that place and sit in another table with smile. Twinkle become socialize and friend with all her classmates. Kunj changed her a lot. Girl who is a book worm, not interested in anyother thing, now she is changing little by little. But not yet fully. Hope you guys like this chapter. I am sorry if you felt it as small update, i will try to give long update in next chapter. The post I wish to be along with you – TWINJ Chapter 3 appeared first on Telly Updates.